WEST FARGO—While most families spent time together this Christmas, local law enforcement officers were out patrolling our streets. While most Americans were opening presents and spending time with friends and family this Christmas, there were thousands of cops all across the country working to keep us safe. WDAY-6 Reporter Sarah Rudlang rode along with a West Fargo police officer to find out what the holidays look like for local law enforcement. Officer Mark Morris took Rudland around. “Something happens, then typically a few things happen, and then we get busy,” said Morris. “You do run into some family situations and domestic situations, where you gotta go settle a fight and so on, and hopefully you don’t gotta take anyone to jail,” said Morris. Morris’s daughter isn’t crazy about dad having to work on Christmas. “When I reminded her that I have to work Christmas day or during the Christmas time this year, she was a little bit surprised. I said, ‘but that’s Dad’s job,'” said Morris. 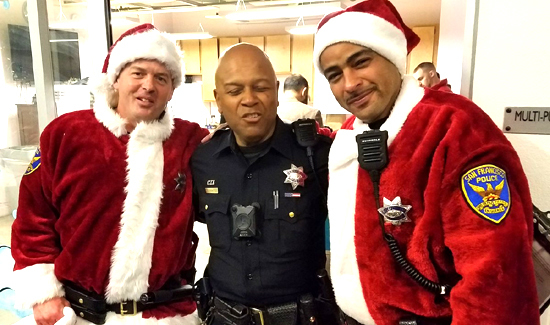 Click here to see the X-mass ride-along.